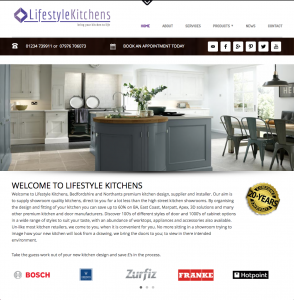 Just finished up a nice little job for Bedford and Rushden based kitchen design, suppliers and installers Lifestyle Kitchens. A complete brand and website design was required with a clean and user updatable interface. WordPress formed the backbone and allowed us to add pages as the clients web needs required. Now past into their hands, they are able to update as their stock changes and when the time comes, a solid foundation is set for them to grow as a business.